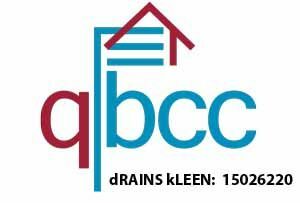 Meet your drainage expert : dRAINS kLEEN Director Darren Bourne, has over 20 YEARS experience in plumbing & drainage. After many years of gaining of hands on experience and knowledge in the field, working for other well respected maintenance plumbing and drainage businesses throughout South East Queensland; the time had come to build a successful business of his own. Having this business has also allowed Darren the opportunity to give every customer the best quality service. A service they have to right to expect. And Darren has been enthusiastically providing this as ‘dRAINS kLEEN’ for almost 10 years. Initially Darren first chose blocked drain cleaning and CCTV pipe inspections as the primary focus of dRAINS kLEEN, as he loves the challenges faced when working in this specialised area. His quest to be the best, has driven him higher, moving from mainstream plumbing into pipeline CCTV surveys, pipe relining, pipe coating and robotic cutting and arguably the largest range of specialised CCTV drain inspection cameras. dRAINS kLEEN has morphed over the years, driven by the desire to fulfil all of our customers needs and provide the very best service. Though not forgetting the backbone of our business, we still offer plumbing, gas and backflow along with our more specialised plumbing services. We are not your average plumber, because, we do it all. You’ll notice Darren is a perfectionist, never compromising on quality, he believes ‘doing the job right the first time’. This is what matters the most; So our staff and have been chosen and trained as a reflection of this image. Our service comes as a ‘complete package’ without the hidden costs. Which is why we succeed where others fail. Whenever possible we will always use a CCTV camera to capture footage from within your pipes, so nothing is overlooked. Allowing attention to be brought to anything which looks like it will become problematic in the future. We aim to fix your plumbing issues and not to prolong them. When Darren is not looking after your plumbing or cleaning and clearing your blocked drains and sewers, he is a devoted husband and a father of two boisterous young boys his ‘Super Heroes’. He always strives to be the very best, taking pride in himself, his family and his business ‘dRAINS kLEEN’, he has a very strong work ethic, is courteous, honest and extremely reliable, both clients and colleagues have often commented on his happy and friendly nature. 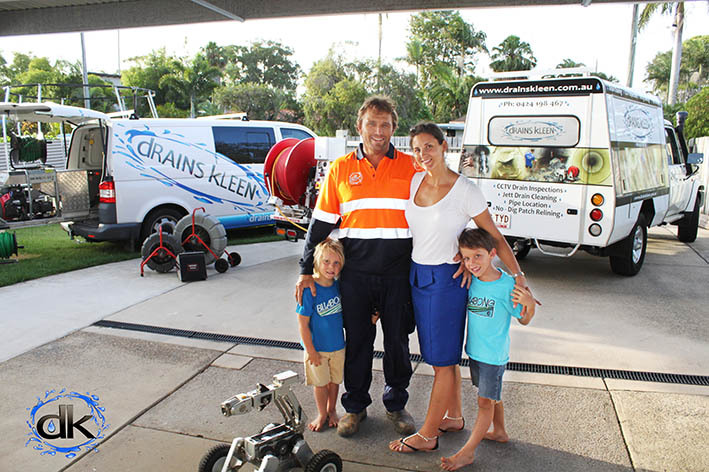 Only the most reliable advanced specialised plumbing and drainage equipment is used for dRAINS kLEEN, so plumbing problems are quickly rectified, drains completely serviced and cleaned, pipes and gully’s restored. Producing results that speak for themselves GUARANTEED! If we don’t know how to fix it, we will make it out business to find out. At dRAINS kLEEN you can expect results!